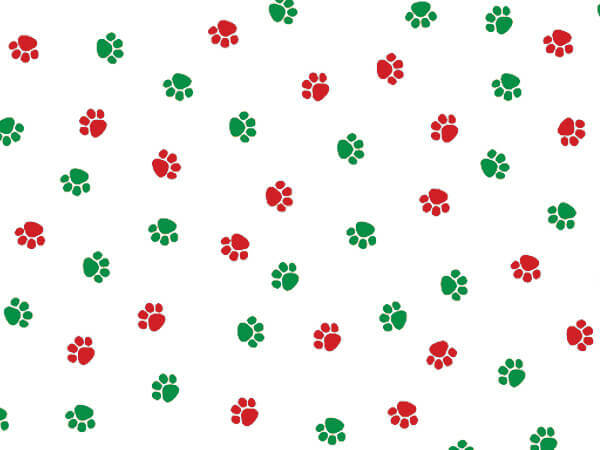 Christmas Paw 4x2x9" Cello Bags feature red and green paw prints on clear cello. Top quality! Made in the USA.